Bone fractures are a common and painful injury that require post-treatment physiotherapy rehabilitation to improve muscle mass and increase joint flexibility. total estimated fractures in Saskatchewan for 2015 was 8,510. Fractures can be due to traumatic accidents, sports, repetitive stress, and a medical condition called osteoporosis (which leaves your bones more brittle and susceptible to breaking). An x-ray will help determine the type of fracture you have and the treatment you require. Often post-treatment requires a physical rehabilitation component to improve muscle mass and joint flexibility that was lost during your fracture recovery stage. 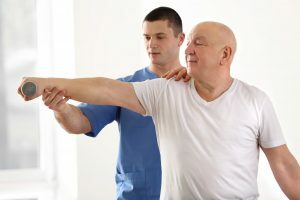 Bourassa & Associates’ university trained physical therapists offer tailored treatment plans unique to your fracture so that you can get the best rehabilitation towards resuming normal activities of daily living. With 30 years of experience, we can help improve your quality of life, relieve your pain, and get you back on the road to recovery quickly.